Journal Prompts to Teach Good Writing Skills to Your Class — No matter what colleges your students go to or what types of careers they end up in, they all need to know how to write. Particularly with the advent of technology and regular email use, writing is a more important skill than ever before—which means that kids should begin learning how to write well from a very young age. You can begin teaching writing skills in any number of ways, but nothing will ever work better than simply having your students complete frequent writing assignments. That’s why daily journal writing is so effective! When students keep regular journals, they have the chance to improve their writing skills through regular practice and by mastering a variety of techniques. 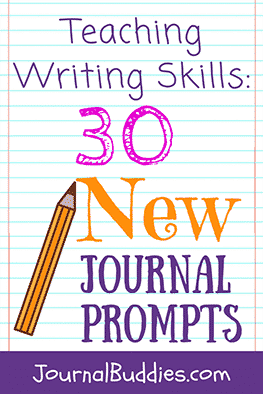 These 30 new journal prompts teach writing skills by asking your students to perform a number of different basic activities and exercises that professional writers use to improve their work. 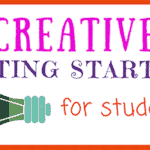 Whether your students are working on language through adjective brainstorming and rhyming exercises or practicing descriptive writing by taking notes and explaining what they see, they’ll begin to get more comfortable using language and the written word to express their thoughts and ideas. 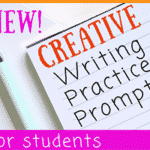 If you’re teaching writing skills this year, use these all-new journal prompts to help your students become more critical and more creative writers! Choose a poem or short story from one of your favorite authors and copy it down in your own handwriting. Then, try to write your own poem or short story in the author’s style. Choose a partner and read the pieces you wrote yesterday out loud to one another. Listen to each other’s writing carefully, and then give the other person two compliments and two tips on how to improve his or her writing. Make a list of words using each letter of the alphabet to describe yourself. Make a list of three random nouns. Then, try to come up with a separate list of adjectives using each letter of the alphabet to describe each of the nouns. The best writers are usually great readers! Instead of journaling today, spend the time you would normally spend writing on reading your favorite book. Pay close attention to the language the author uses and how he or she introduces new characters and new ideas. Make a list of five one-syllable words. Then, list all the rhyming words you can think of for each one. Make a list of three two-syllable words. 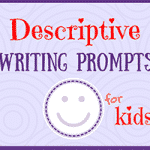 Then, list all the rhyming words you can think of for each one—including words that rhyme with the first syllable and words that rhyme with the second syllable of each word. Create a fictional character in your mind. Then, write a brief profile on him or her. Include physical details (eye color, hair color, height, etc. ), personality details (is he/she outgoing, funny, reserved, smart, etc. ), and his or her likes and dislikes (what is the character’s favorite song, favorite food, favorite place to vacation, etc.). Expand on the character you wrote about in prompt #8. Today, write about the people in your character’s life—his or her friends, family members, teacher or boss, etc. Who does your character get along with the best? Who does your character frequently disagree with? Today, put your character from prompts #8 and #9 into a situation that you recently experienced. Think about how your character might react differently than you did—and how he or she might do things the same. Write a review of our school, pointing out the things that you like and dislike that other prospective students and their parents should know about. 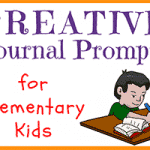 Write about the most exciting thing that happened to you last summer. Before you begin writing, create a mind map to organize your thoughts. Spend 15 minutes outside. Then, write about everything you saw and experienced. Include as many specific details as you can. Spend another 15 minutes outside—but this time, make sure to take detailed notes. Then, write about your experience, using your notes to jog your memory. Compare your writing from prompts #13 and #14. Write about how taking notes changed the level of detail you included. Did you notice different things or more specific things on the day you took notes? Was it easier or harder to write about your time outside when you used the notes? Why? Write a letter to your favorite celebrity. Describe what you admire about him or her and how he or she inspires you. Write a letter to a local politician about a cause that is important to you. Write a letter to your future self. Include details about your life now, and write some predictions about where you might be in the future. 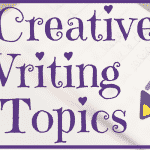 Write a short story or an essay of at least 500 words about any topic of your choice. Take the short story essay you wrote yesterday in prompt #19 and cut out at least 150 words. Focus on cutting out unnecessary “extra” words, and make sure that you leave the bulk of the story (such as the introduction, conflict, and climax) intact. Research is also an essential part of good writing. Today, research any topic of your choice and take detailed notes on everything you learn. Using your research from yesterday, write a brief report on the topic you chose. Choose a random item in the classroom and make a list of words that describe the item without giving away what it is. Then, trade your list with a classmate and try to guess what the other person was describing. Find a popular historical speech and write a brief analysis about how it successfully convinces listeners of its main point. Choose one thing that happened to you last week and then write a fictionalized account of it. Write a brief reflection on any topic you like (such as your favorite hobby, your favorite family tradition, or your favorite food). Though you may normally sit down and begin writing immediately, today you should first spend 10 minutes thinking about what you want to say. Write down some notes or make an outline before you begin writing. Think about your writing process and write a brief reflection on what makes writing most enjoyable to you. Do you have a particular place you prefer to write? Do you have a favorite notebook or pen? What kinds of things do you like to write about the most? 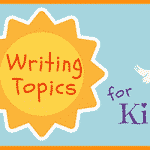 Write a short story that includes each of the following words: gold, song, horse, apple, lamp, muffin, scissors, game, and ocean. Write a rhyming poem that includes each of the following words: ball, phone, hear, smile, and green. Look to your left and list the first thing you see. Then, look to your right and list the first thing you see. Write a brief essay comparing and contrasting these two things.